Want to get away from the crowds? Don’t miss this exciting mountain riding tour on varied terrain through the Arapaho National Forest. Explore powder meadows, ridge tops and cruiser trails through the trees. Look down the Vasquez Cirque from our highest trail and enjoy a panoramic view of the Continental Divide, Rocky Mountain National Park and Fraser Valley. Or check out a spectacular view of Gore Range from a vantage point in Church’s Park. Great for all ages and abilities. Dont miss this local’s favorite! Experience our 1 hour family tour, designed specifically for families with young children or those looking for a shorter experience than our 2 hour tour provides. This tour encompasses mainly trail riding with beautiful spots along the way for photos. This tour is great for families with little ones who get cold or tucker out easily and still want to enjoy a backcountry experience with scenic views. 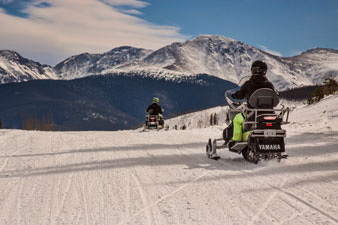 The most popular snowmobile tour in the state is also Grand County’s only adventure tour to the Continental Divide. The tour is for all abilities on our wide, regularly groomed trails. We follow the Historic “Moffat” railroad route to Corona Pass (weather permitting). 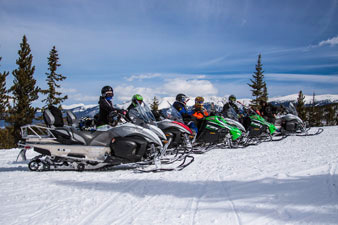 Tours can top out at nearly 12,000 feet with views of the entire Winter Park Ski Resort and the Fraser Valley. Guides will customize your descent to the base with a blend of exciting “single track” trails in the forest, open meadows and groomed trails. Guides are equipped and trained to offer you a fun and enjoyable experience. 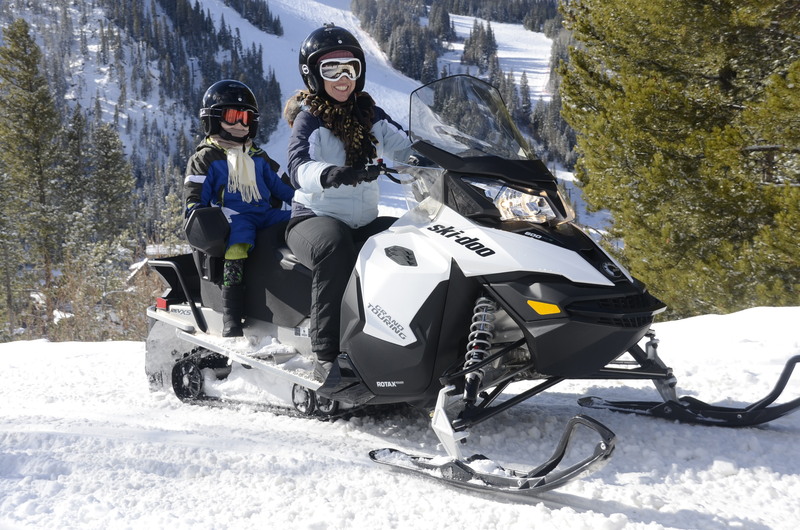 Ideal for the beginner riders and families looking to experience Colorado’s backcountry on a snowmobile. Groups (minimum of 4 snowmobiles) who want to take a longer adventure through the backcountry should consider our 3 hour tour. All tours will experience the same terrain as our normal Continental Divide Tour and some other trails in the Winter Park area. This tour cannot be reserved online, and there is limited availability so please plan in advance. Dress in layers. Bring ski wear, gloves, and goggles (required) for eye protection. Also, neck gator, scarves and or face mask are nice to have and may be required on cold days. Boots and DOT certified helmets are provided. Don’t forget a camera, sunscreen and bottled water. We do have some items for sale. Everyone participant must complete our participant agreement before they go. A legal guardian must sign the participant agreement for minors under 18.